Old Time Radio’s Greatest Comedy Shows | 100 Radio Shows – 100 Radio Shows – Old Time Radio Own the Greatest Old-Time Radio Shows of All-Time for Only $1 Per Show! Each of these 7 collections contain 100 Old-Time Radio Shows (50 hours) on 50 CDs! 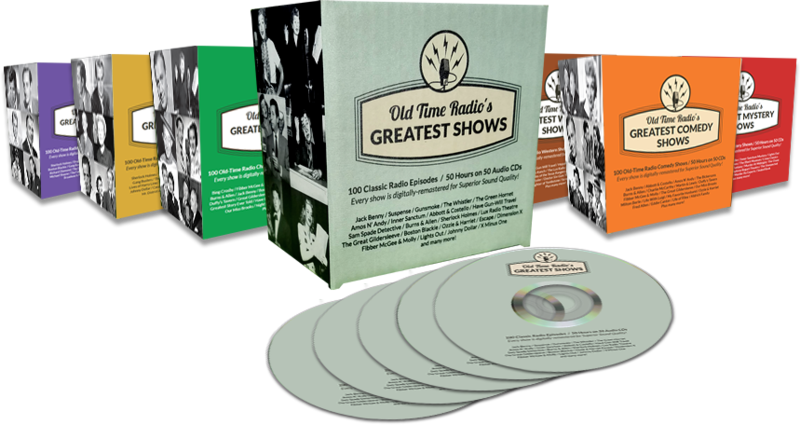 OWN THE GREATEST OLD-TIME RADIO SHOWS OF ALL-TIME FOR ONLY $1 PER SHOW!